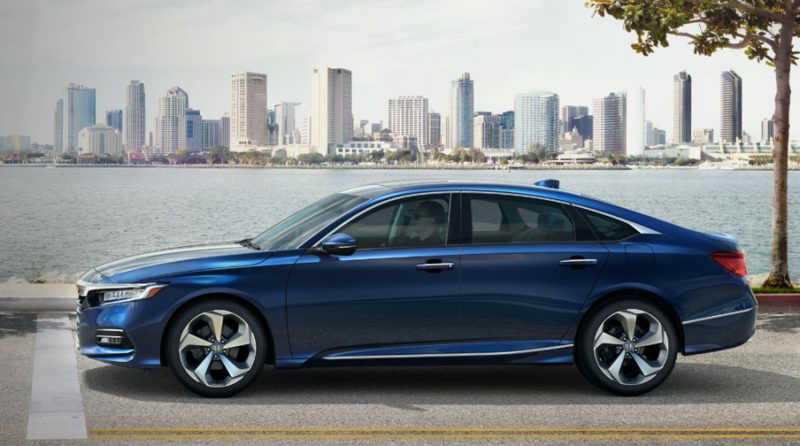 The Honda Accord is known to be one of the top-selling vehicles in U.S. Its affordability, efficiency, and stylish design have made it a consistent hit on the automotive market. Well, fasten your seatbelt because this amazing vehicle has gotten even better! The 2018 model is fresh off of the press and it comes packed with amazing features that any driver is sure to love. So, what could Honda possibly do to take this one-of-a-kind sedan to the next level? Keep reading to see what the completely redesigned 2018 Honda Accord has to offer! The bar was raised high, but we think that Honda exceeded all expectations with this new model. Its updates are more than what meets the eye – they go deep beneath the surface. For example, the 2018 Honda Accord uses more ultra-high-strength steel than any other Accord ever made. In fact, the structure incorporates about 29% more of this sturdy material. As a result of this model’s makeup, it has a reduced weight of over 100 pounds and is much more flexible. The Honda Accord also has a new, sporty look that makes it more appealing to today’s buyers. It features a long, sloping backlight and short edges on the rear door windows. Plus, this vehicle has a full-length line that runs from its stem to its stern. The wheelbase has increased by 2.2 inches, and there has also been an increase in the Accord’s width. Additionally, the length and height of the vehicle have slightly decreased. With this super sporty appearance, you’ll be ready to hit the race track once you take a seat inside! Manufacturers also made various efforts to reduce the Accord’s cabin noise with this new model. This vehicle now features underbody covers, acoustic laminated windshield glass, structural adhesives, and front and rear engine-compartment insulators. Therefore, the Accord is quiet enough to better accommodate all of its potential passengers. No matter if you are traveling with a reading bookworm or a sleeping baby, noise won’t be much of an issue. The interior of the 2018 Accord screams, “Luxurious”. As soon as you open this vehicle’s doors, you’ll notice that luxury, modern style, and functionality flow together seamlessly. Check out the sporty seat positioning and the added interior space. This new Honda has everything that you need in a sedan! Oh, the upgrades don’t stop there. Honda has gone even further! This vehicle showcases inward moving seats that provide more shoulder, head, and hip room for front seat riders. Plus, the seats have taller bolsters and variable firmness padding. Also, backseat passengers will enjoy inches of additional legroom. So, there’s added comfort – no matter where your passengers are seated. The Honda Accord’s cabin features an 8-inch Display Audio touchscreen with knobs for tuning and volume (something that Honda drivers will surely be excited about). This vehicle also comes packed with lots of new standard intelligence and premium features. For instance, buyers of the new Honda Accord will automatically have Android Auto and Apple CarPlay, an updated HondaLink telematics system, and Honda Sensing. With all of these updates, the 2018 Honda Accord is the perfect vehicle for any driver – and this just grazes the surface! The 2018 Honda Accord has exceptional power. This new model is updated with three advanced powertrains. For 2018, Honda is ditching the optional 3.5-liter V6 engine and picking up two turbocharged inline-four-cylinders instead: a 1.5-liter turbo engine and a 20-liter turbo engine. The 1.5-turbo is rated to reach 192 horsepower and 192 pound-feet of torque. The 2.0-liter turbo, on the other hand, produces 252 horsepower and 273 pound-feet of torque. Both of these new engines provide great power, quick spooling, and high efficiency. The Honda Accord’s Hybrid has evolved as well! It features a 2.0-liter Atkinson cycle engine with electric motors. This update comes in handy in a couple of significant ways: It helps keep money in buyers’ wallets and is it less harmful to the environment than your average vehicle. 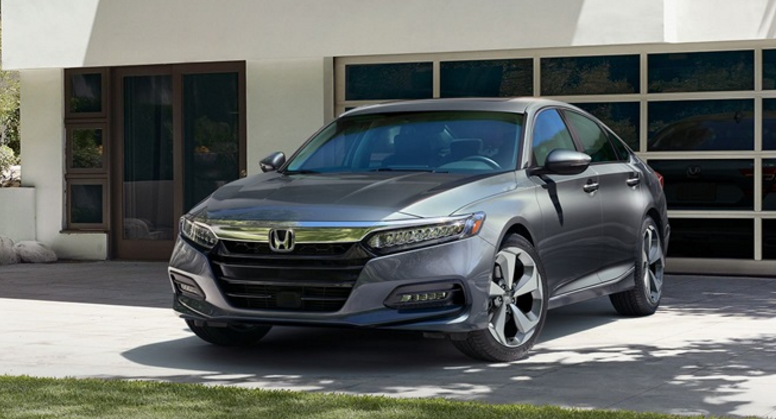 With all three of these powertrain options available, Honda describes this new model as “the most fun-to-drive and fuel-efficient Accord yet.” So, be sure to take it for a test drive once it hits the pavement. There’s a trim level to meet the needs of every driver. Which trim works best for you? Now that you’ve seen some of what the 2018 Honda Accord has to offer, it’s time to start preparing to purchase this vehicle one it’s available. Visit O’Daniel Honda in Omaha, NE this fall to pick up this updated sedan. Our experts anticipate your arrival!